Flip a coin, if tails, the guys are lazy and this attack does 20 less damage. Hannah comes in to give the guys some help. 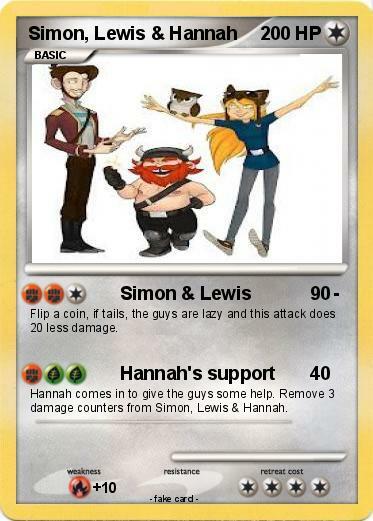 Remove 3 damage counters from Simon, Lewis & Hannah.